Educate, Engage, Enrich, and Enjoy your Math Block! eaching a new grade is always a new adventure...one that I welcomed with open arms this year!! After getting the opportunity to be in several different elementary classrooms in college, I felt like my "sweet spot" was teaching 2nd-4th grade. Fast forward to getting my first teaching job- in Tanzania, East Africa! I spent three years teaching Kinder and 1st Grade. 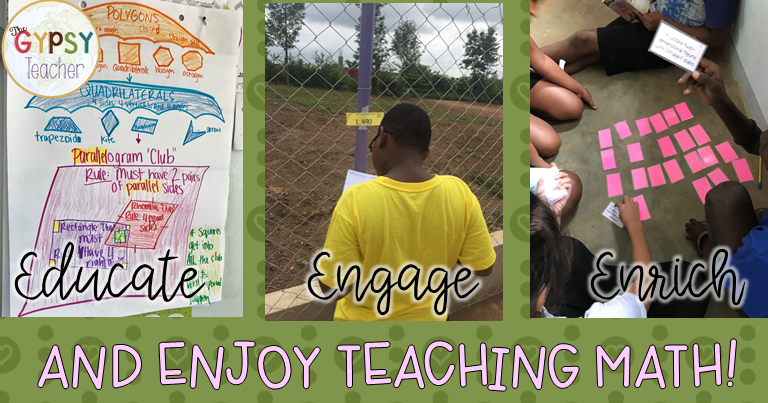 I loved the experience, and using my creativity to come up with engaging, hands-on activities, etc. It was GREAT! But, after a couple of years, I wanted a change. 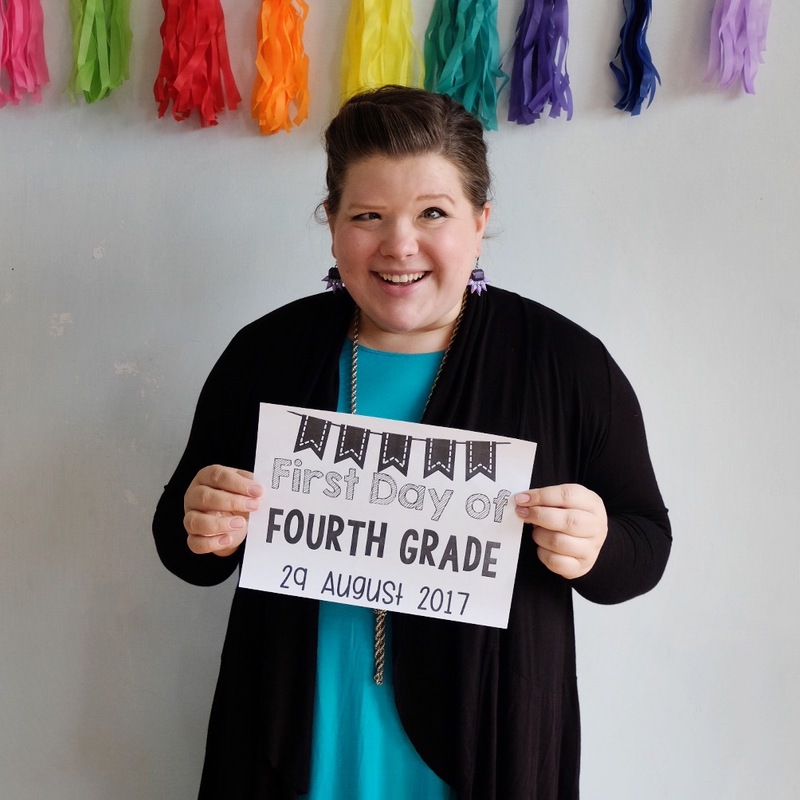 This year, I had the opportunity to move to fourth grade...and I'm seriously in LOVE!! It has confirmed my love for the middle elementary grades, and it makes me so happy! I love that they still respect me as their teacher and love school, but we can have deeper conversations and learning moments. It's always challenging to try something new, but this year has been so rewarding!! I mentioned in an earlier post that I've also been helping some of the new teachers at my school, and planning for and helping with art class for K-6, and planning for another ESL class. It's stretched me, and been really fun to share my knowledge with the other teachers, but it's also made me busier than ever before! Teaching a new grade on top of all that...it's been a bit CRAY!!! But God is faithful, and I'm ever so thankful for His never-ending waterfall of GRACE.There's been a lot of learning and growing. And I finally feel, now at the end of the first semester, that I'm getting my groove back. This means that I'm no longer just trying to get by with the lessons from the curriculum, I'm trying to add in more meaningful activities that will help what my students are learning STICK...especially in math!! So I thought I'd share some of those things with you all today, if you need some fresh ideas and resources for your math block!! The first thing I want to share has been a GAME CHANGER!! It is a YouTube Channel called Numberock. They have tons of amazing animated song videos with math content!! My students and I seriously LOVE THEM. Click HERE to discover the awesomeness, and check out the video below too! I also use actions for EVERYTHING! We're currently wrapping up our geometry unity, and we've gotten up and moving for angles, shape transformations, lines, and more!! For an inside scoop on this, go follow me in Instagram!! I'll be posting videos of these actions soon, as we'll be reviewing for our upcoming test! The original idea came from Rebecca at Create Teach Share. Here's her pin that I found, if you're looking for INCREDIBLE hands-on geometry activities! ANCHOR CHARTS are my best friend!! I know this is not a new idea for you, but I have a twist I've been working on! Not only do I try to find relevant and exciting anchor charts on Pinterest to recreate with my fourth graders, I've been working on creating versions for THEM to put in their math notebooks!! This is similar to interactive notebooks, but not quite as time-consuming. I create a similar printable to what I'll be making during the lesson, and they will follow along by filling in blanks or adding elements during the lesson. I have a freebie in my TpT store that you can check out below, if you're interested! 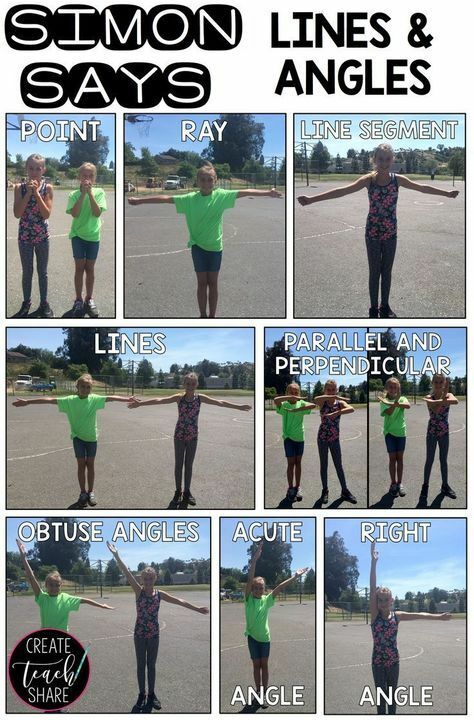 It is perfect for your lesson on Quadrilaterals!! They are called Note-able Anchor Charts!!! And, the Shape Transformations one above is coming SOON! My last way I'm refreshing my math block is through early finisher activities. I usually allow my students who finish early to read, do a puzzle, work on unfinished work, etc. But I've started adding some math games and task cards to my classroom so my "high fliers" will continue reviewing and practicing the important concepts! This week I tried out the Shape Memory from this awesome Shape Classification resource from Fifth is my JAM on TpT!! The kids matched the shape names to their definitions/attributes. It was a great way for them to distinguish between the shapes and angles we had learned about!! I also am using Teaching with a Mountain View's amazing Geometry Task Cards to review this week!! 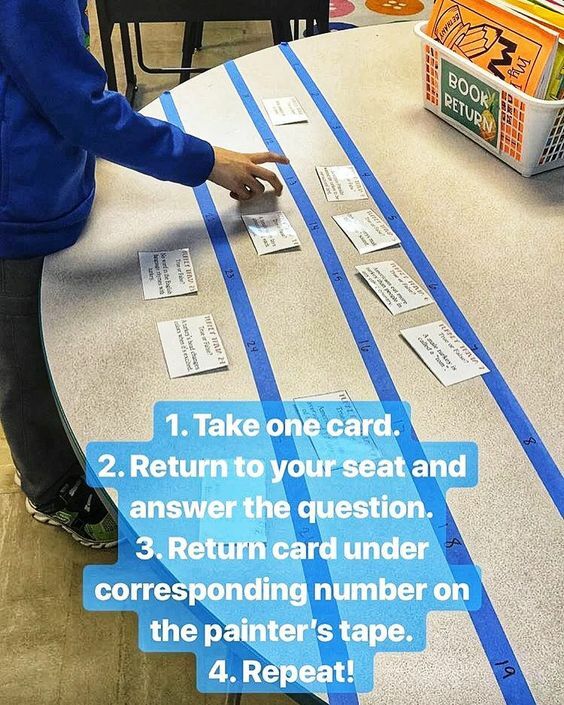 I can't wait to try out this task card trick I found on Instagram! I hope you got some fresh ideas for your math block!! I love sharing what I do with you, and would love to hear what works best for YOU in the comments!! Don't forget to enjoy the moments, even when your students don't understand, or you have twenty seconds to prep your lesson...you've got this!! If you'd like to pin this post for later, here's an image for you!